Rollin' down the river with Proud Mary and her krazy krewe! : Best $5 Santa ever spent! One of Noah's favorite gifts from Santa was a Toy Story shaving kit. Noah is one who absolutely loves being in the bathroom. He loves to go potty, take baths (and showers! ), brush his teeth, wash his hands...you name it! Santa saw these shaving kits on Black Friday and decided to snag one up. 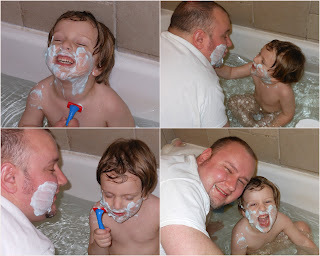 Noah was so excited when he saw this kit and couldn't wait to "shave like Daddy!". 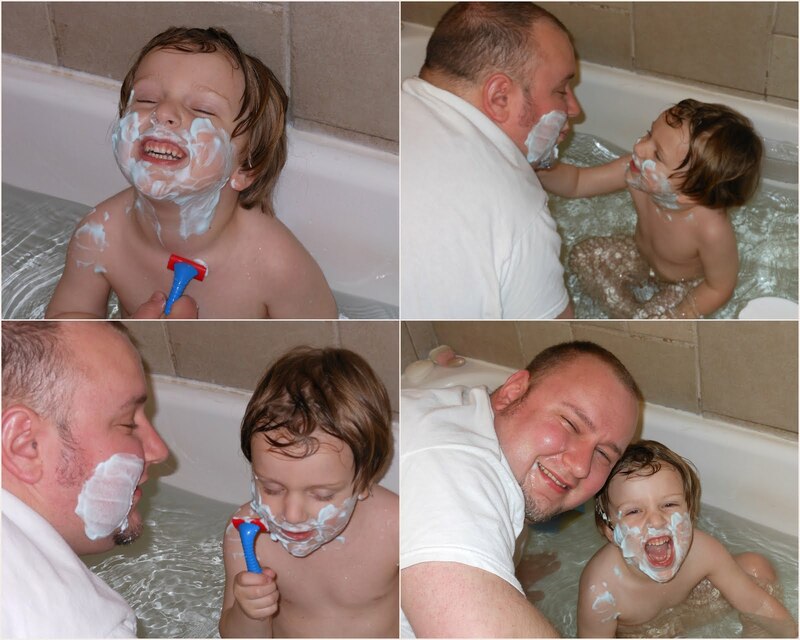 Clint helped him with his first shaving session and here are some pictures of it. Now when Noah actually shaves in about 10 years I will have to look back on these pictures to laugh because I'm sure when he starts shaving I'll be having a crying fit! Stop growing Noah!